The Ajaokuta Steel Company is to function as a purely private entity, the Minister of Mines and Steel Development, Dr Kayode Fayemi, reiterated this position on the steel complex on Monday during a facility tour of Abuja Steel Mill, a subsidiary of African Steel Company, along Abuja-Kaduna Road. 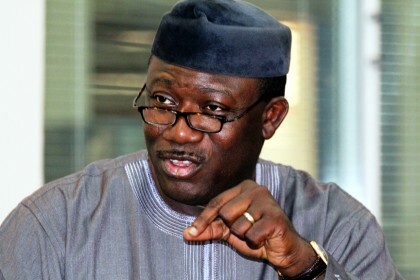 Dr. Fayemi who stated that government is putting a lot in place to ensure that the Ajaokuta Steel Complex gets back to life, said the company would no longer be run as a public concern. He said experts with proven track records and required financial capability would be encouraged to key into the scheme through a competitive bidding process that would be transparent. 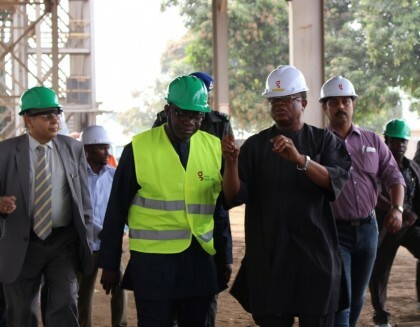 The Minister said government is committed to ensuring Ajaokuta works, because it believes that a functional Ajaokuta Steel complex would greatly assist the country’s developmental drives. He identified the most crucial needs of the country now as energy and power and advised that since government is putting the necessary infrastructures in place to address these needs, steel companies operating in the country should continue to maintain high product quality and put them out at reasonable prices for consumers, especially now that the pressure on the dollar is reducing. The Minister pledged the support of government to the companies that are manufacturing locally and urged them to develop training programmes that would empower and groom young graduates, indigenous engineers and artisans. The Group Executive Director of the company, Mr. Richpal Singh, accompanied by another director, Dr John Akanya, solicited government assistance to access coal energy which he pointed out would enable them to locally produce the raw materials. He explained that the high cost of steel products was not due to high dollar demand but the cost of procuring scrap iron which he said is among the items being taken out of the country. He called on government to look into the regulatory framework that covers this with a view to arresting the trend.